The rescue operation for the trapped miners in Chile is underway with the first 2 miners emerging from their trapped domain late last night. 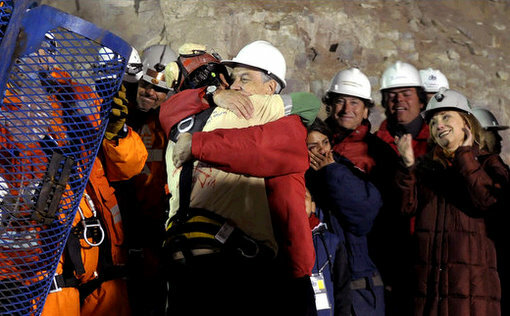 The first to greet these trapped miners was Chile President Sebastian Pinera. Call it political, or call it compassion, one thing is for sure is that the international community is grateful for a leader like Mr. Pinera leveraging his power and resources to come together to rescue the trapped miners. And from what I’ve read, Mr. Pinera Presidency is staked on the successful operation and rescue of all 33 trapped miners. You can watch the live rescue operation of the miners in Chile online here.